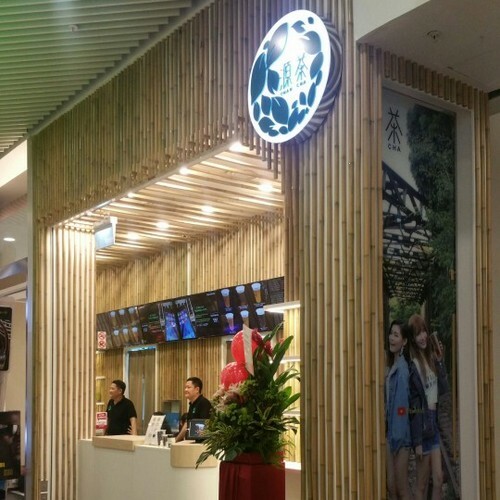 Tea house chain Yuan Cha has four locations in Singapore, one of which is within Jurong Point mall (1 Jurong West Central 2). Founded in 2016, Yuan Cha delivers quality tea experiences through careful sourcing from the best plantations in Asia and attention to detail when it comes to brewing. Their menu features Basic Tea Series, Fruit Vinegar Series, and Milk Tea Series of drinks to choose from. Of these, the Basic Tea Series includes specially selected black tea, green tea, oolong tea, alisan tea, puer tea, as well as tie guan yin tea. The red oolong (hong shui oolong) tea is specially prepared by Sheng Sheng Tea House, Taizhong, Taiwan, using the traditional method in making oolong tea. The official Facebook brand page for Yuan Cha is available at www.facebook.com/yuanchasingapore/. You can also follow the company’s official Instagram account, which in turn is located at www.instagram.com/yuanchasingapore/.